BRAG ALERT! BRAG ALERT! This is to warn you that I will be heavily bragging about one of my favorite blogs. Thank you. Also, this a text-heavy post with pictures to go between paragraphs. Thank you for looking/reading/pretending to read/whatever it is you are doing right now. Yay it’s almost time for school to start up again!!! I’m so excited for this semester, yet nervous as well. My first year of college went by SO quickly; I can’t believe I’m a sophomore already! This time next year, I will be preparing to start taking my major classes!! I want to start this semester off right, so today I am sharing with you my “supply list” for college! Wasn’t it always helpful to have that little piece of paper every year in elementary school to tell you what you needed? Well, it helped me, and it was always exciting to get to cross things off while my mom put them in my new backpack! Now, obviously, this list is not for everyone, but at least it can be helpful, right? I got some of the things on my list from The College Prepster (a FANTASTIC blog, by the way!! ), and the rest is all the things I use regularly during the fall and spring terms to help me stay organized. Some of the others are new for this semester, but I know they will be helpful! Improve, improve, improve!!! 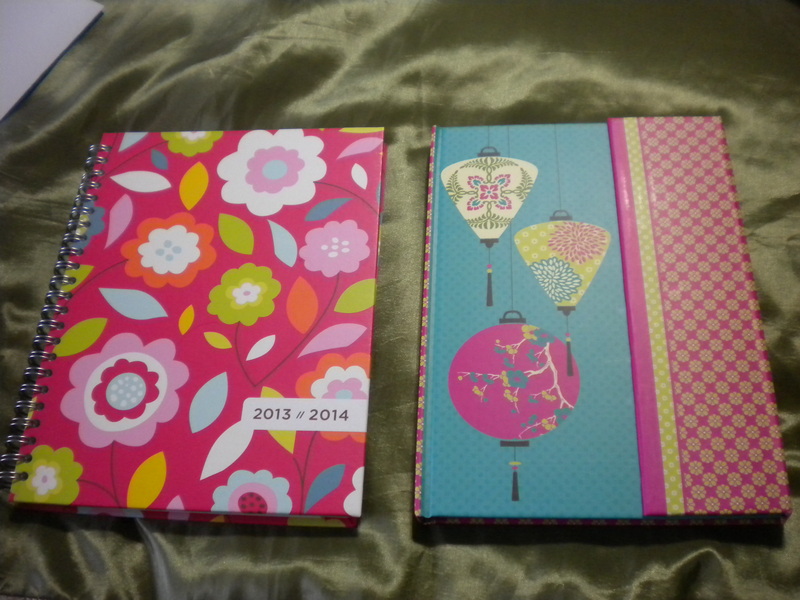 Composition Book or Journal – Okay, so Carly had a wonderful idea. And I shall link to it now. This Homework Notebook is GENIUS. I always relied on just my planner, but having a notebook just for all of this? It’s so obvious, it hurts. I found mine at Staples, and it was on sale! 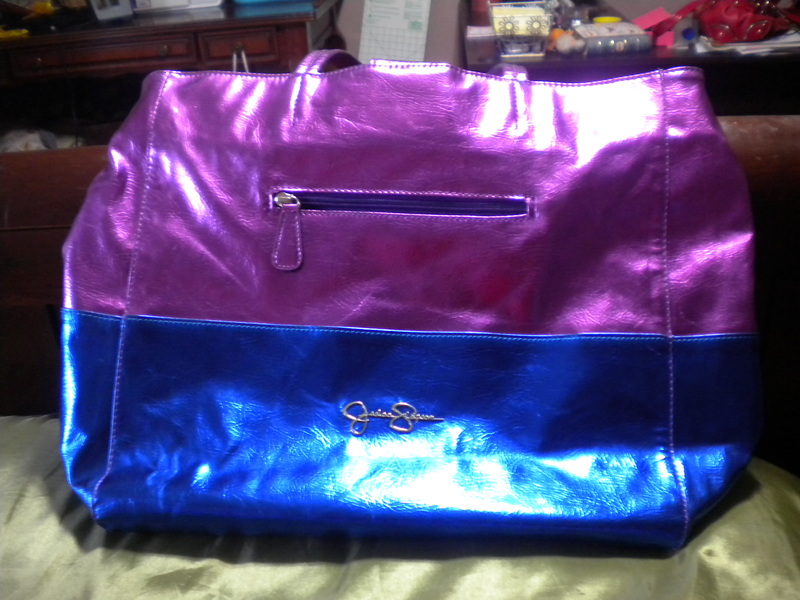 They had some adorable ones with magnetic buckles for a couple of dollars more, but this one just spoke to me somehow. Maybe it’s the bright colors I seem to gravitate to? 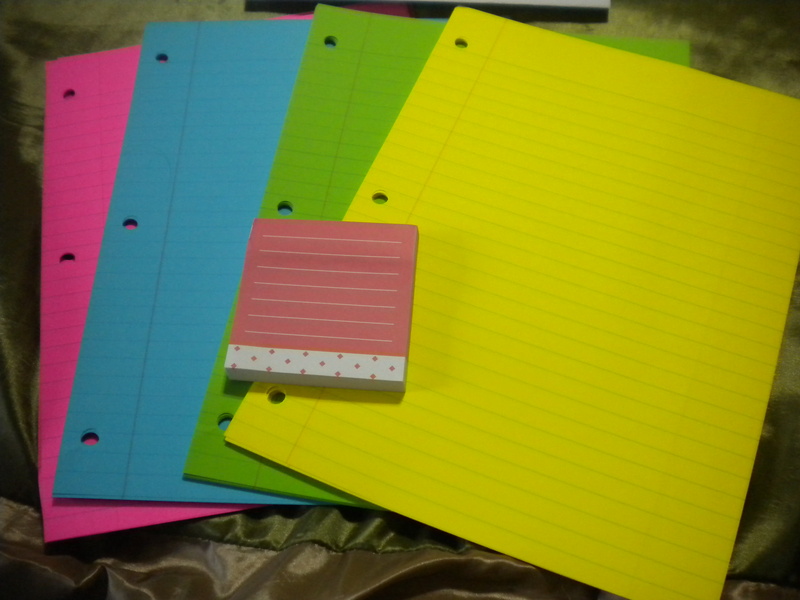 Bright Post-Its and Notebook Paper – I grabbed these from the dollar section in Target. No post-its will EVER top the ham and cheese ones I got from Staples last year, but these will have to suffice, I guess. See them here on Sandwich Control! 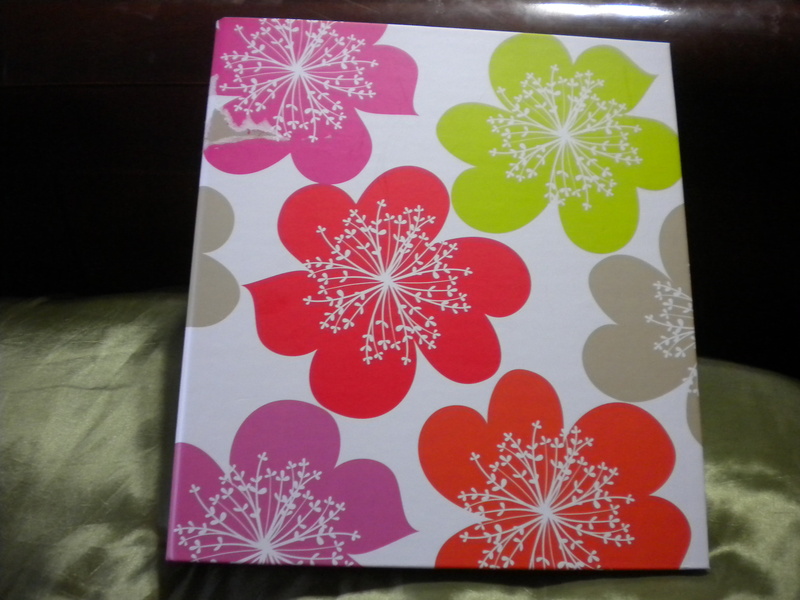 I am also obsessing over the brightly-colored notebook paper I got at Staples! They had pastels, but again, I gravitated to the brights! Pens/Pencils/Highlighters/Sharpies – I did not buy any pens, highlighters, or Sharpies for this semester. Why? I have SEVERAL. I mean. Really. It’s ridiculous how many pens I have accumulated over time. 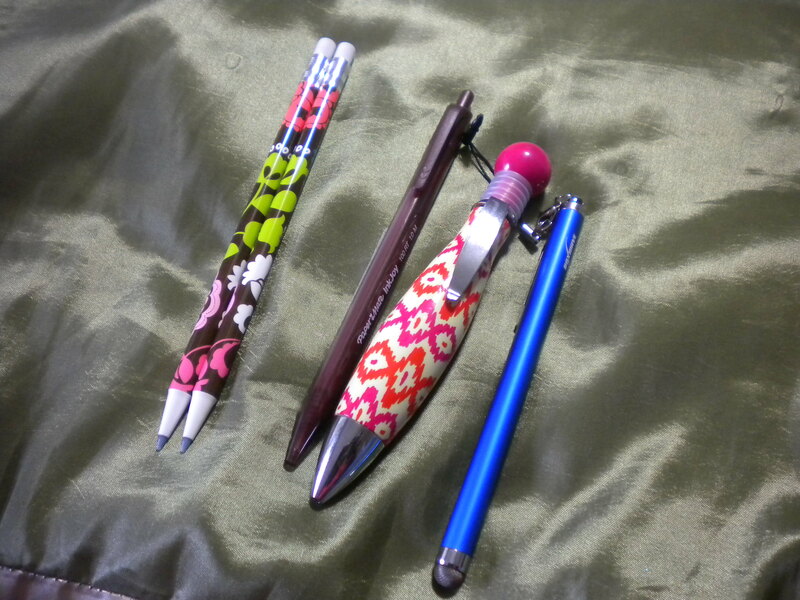 As far as pencils, I have plenty (mechanical), but when I saw the Vera Bradley pencils in Dillards, I couldn’t resist. They are $12 a pack, but a worthy splurge for me! The stylus is from Boxwave, and was sent to me by the lovely folks over at PaperDesk after I reviewed their app on my other blog. 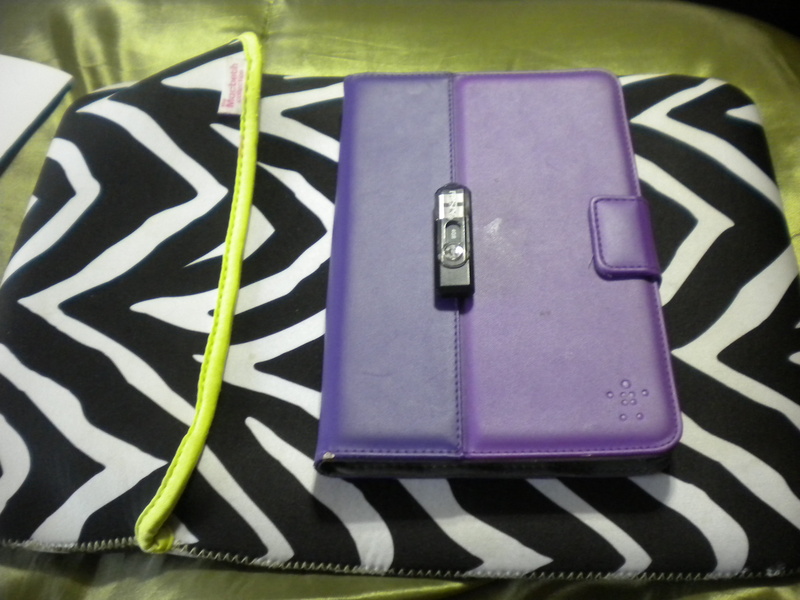 pencil pouch – Stay tuned for this as well! I have plans for one already! I am making my own and it will be uber cute! stapler/paper clips – You need a stapler in college. You NEED a stapler in college. You need a STAPLER in college. Have I made my point? I can’t tell you how many times I have needed to staple something to turn it in and I am at a loss. GET ONE!!! They are cheap! And get the regular staples to refill it and break the strips into smaller pieces. Do not get ripped off on mini stapler refills, please. Thanks so much for reading and be sure to visit The College Prepster though any of the links I included above! ***Side Note: I am not in any way affiliated with The College Prepster. Her blog was simply a huge help with sorting out my first year of college and trying to stay on top of things. I hope to brag about more of my favorite blogs in the future, but for now, stay tuned for more back to school stuff!